Dark amber color. Sweet, candied, complex aromas and flavors of vanilla creme anglaise, caramel pudding, dates, and dried pineapple with a tannic, vibrant, dryish medium-full body and a warming, complex, long finish imparting shades of tropical trail mix, candied orange peel, orange blossom water, and leather finish. An intriguing and satisfying sipping rum. 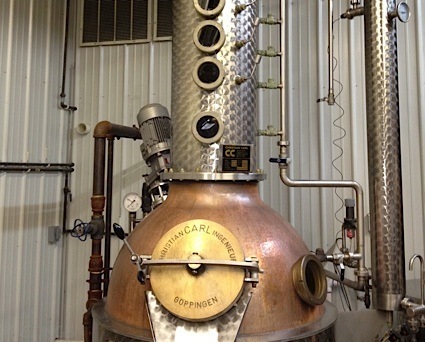 Bottom Line: An intriguing and satisfying sipping rum. 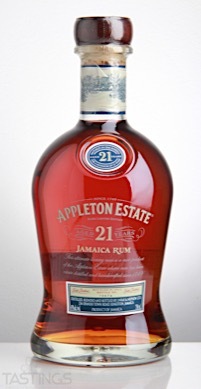 APPLETON ESTATE 21 Year Old Rum rating was calculated by tastings.com to be 95 points out of 100 on 3/20/2017. Please note that MSRP may have changed since the date of our review.